Yesterday (16 June) was T1's birthday and I'm pretty sure that he was getting down to this one. Ladies and gentlemen I present to you the third single (after Tiri Two and Anochera Ngoda) off T1 upcoming album, #Inzwa. Anonzi Xndr is on production for the third time around (which makes you wonder if he is the sole producer on the project). This is familiar Rehab territory that has produced for them many a hit and this one is no exception. 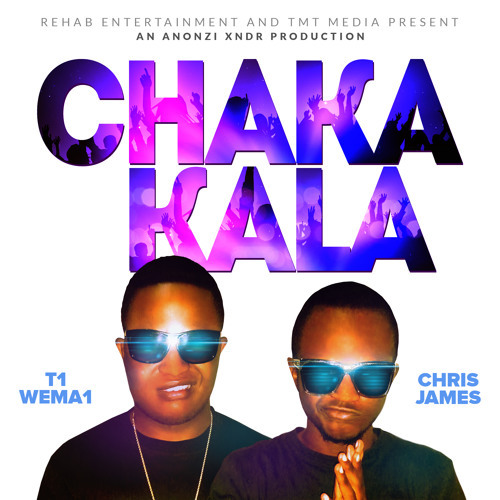 Chris James seems to be the Rehab guy to go to for features these, having also appeared on TeamBHO's Zvikuzivikanwa and Cool Dude's Love Them Girls. For those who may not know Chris James, who also went under the alias CJ, there's a track he did last year that received a lot of rotation on the now-defunct School of Hip-Hop show on Power FM. Peep it below. This is a one for your #turn up playlist, enjoy. Hopefully #Inzwa drops soon, for now peep the audio for Chaka Kala and click the download link below.